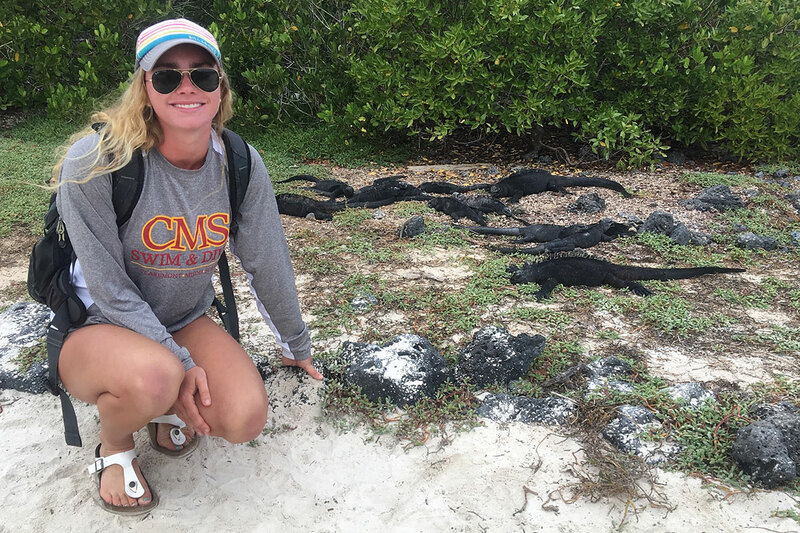 Dual interests: Edwards chose CMC, in part, so that she could swim year-round in the outdoors. Even more important: pairing a high-achieving swim program with her desire to study government and philosophy. “At CMC, I can compete athletically at a really intense level while also taking equally as challenging classes,” Edwards said. “I didn’t feel I would be able to get both experiences anywhere else.” Head swim coach Charlie Griffiths was also a major reason why Edwards came to CMC. “I truly don't know where I would be or what I would do without him. I have never had such a motivated and inspirational coach,” she said.